﻿ Hilton Cairo World Trade Center Residences Kaherah. JIMAT di Agoda.com! 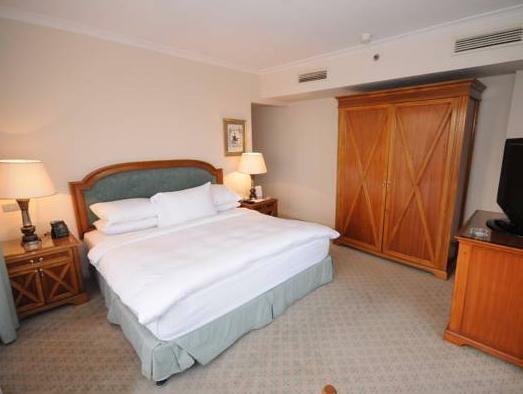 Ada soalan mengenai Hilton Cairo World Trade Center Residences? Ketika melawat Kaherah, anda akan merasa seperti di rumah di Hilton Cairo World Trade Centre Residence, yang menawarkan penginapan berkualiti dan perkhidmatan hebat. Hotel ini terletak 1 km dari pusat bandar dan menyediakan akses kepada kemudahan bandar yang penting. Persekitaran yang terjaga dan kedudukan berhampiran dengan Alabaster Sphinx, Silver Smith, Pasaraya Rames Hilton memberi hotel ini daya tarikan istimewa. Di Hilton Cairo World Trade Centre Residence, perkhidmatan yang cemerlang dan kemudahan yang unggul menjadikan penginapan anda tidak dapat dilupakan. Kemudahan utama hotel termasuklah khidmat bilik 24 jam, fasiliti tetamu kurang upaya, letak kereta berjoki, tempat letak kereta, khidmat bilik. Masuklah ke salah satu dari 104 bilik tetamu kami dan tenangkan hati anda dengan pelbagai kemudahan seperti televisyen skrin rata, bilik larangan merokok, penyaman udara, panggilan kejut, meja yang boleh didapati di beberapa bilik terpilih. Hotel ini menawarkan pelbagai kemudahan rekreasi yang sangat baik, termasuk kolam renang terbuka, kelab kanak-kanak, kolam renang (kanak-kanak). Hilton Cairo World Trade Centre Residence merupakan tempat yang ideal bagi penginapan pelancong yang mencari keindahan, keselesaan dan kemudahan di Kaherah. City view is very bad. It looks like you are staying in a slum area. It's close from the central Cairo. The rooms are big, bed is wide, and clean. The shower is a bit weak, but other things are all fine. Hotel is conveniently located. Rooms are a good size. We checked in and on the first day the key card to the room malfunction. We had reported to the reception but nothing happened. For 3 days we had to ask the security staff to open our door using their masterkey. On the day we checked out 4 days later only they came to repair this problem. We booked a suite with 2 bedroom suite and upon checking in there were only 2 towels. On 2nd day onwards, towels were not changed and toiletries were not replenished until we checked out. This was our first time staying in Hilton and will definitely be the last time ever.Worst than a 3-star hotel. Excellent staying near all attractive places. 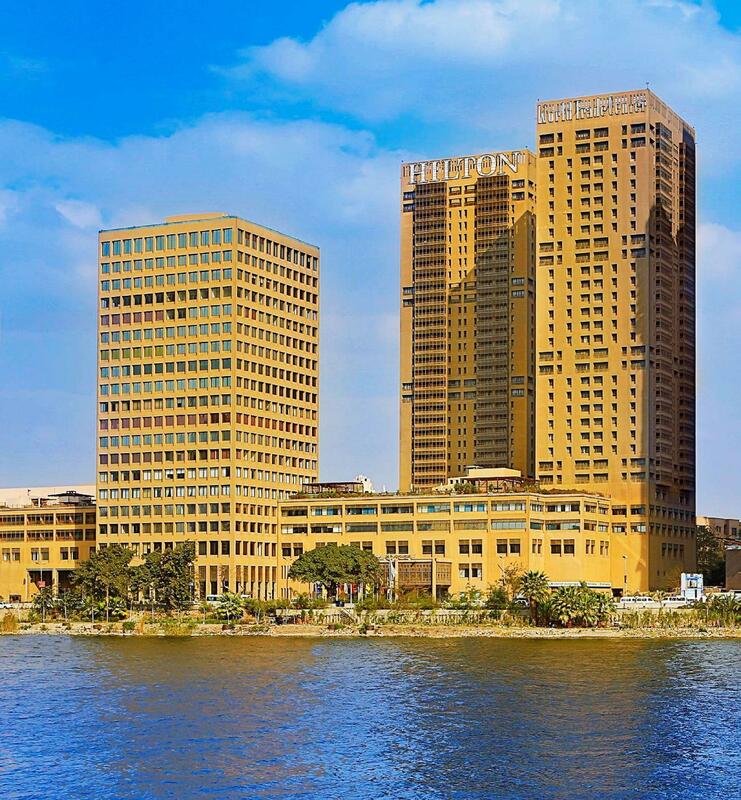 Overall i had a pleasant stay at Hilton Cairo World Trade Centre Residence. The room was very big with all the required furniture! We arrived at 6am due to our change of flight timing and requested for a early check in and without much consideration, the hotel staff agreed immediately. We travelled a lot by taxi and therefore, location don't really seems to be the main thing but there wasn't any shops around the hotel. Room was clean but a little old and dusty. I had sooooooo much trouble looking for the hotel. The local taxi drivers (not just one of them but a few of them) have no idea where the hotel is... One of them kept telling me that there is only two hiltons in Cairo, and we had to go to all two of them before we've finally arrived at the right one, the Cairo World Trade Centre Residence. When we arrived at the other hilton (the wrong one), the hotel staff gave direction to the taxi driver already, but unfortunately he still sent us to another wrong hilton... when we have finally arrived at the residence, the hotel staff helped us negotiated with the driver over the taxi fare(we suspected that he intentionally took us to the wrong hotel). Anyhow, after getting back the "extra" money which were supposed to go to the taxi driver, we gave them to the hotel staff instead as they were of great assistance and very professionally mannered. 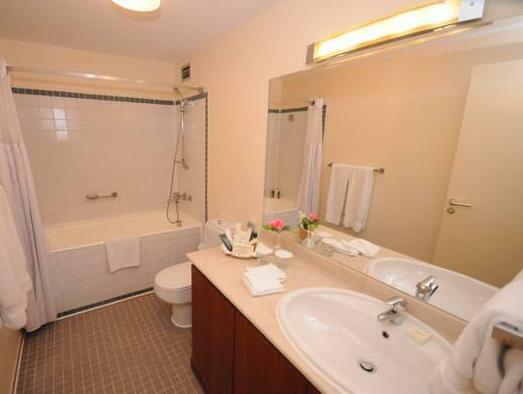 Nice specious suites with a great lounge. Good if you are travelling with early teenager kids. Room at Hilton Apartments was perhaps our best decision of the entire Egypt trip. The decription on its website is in my opinion an undersell. 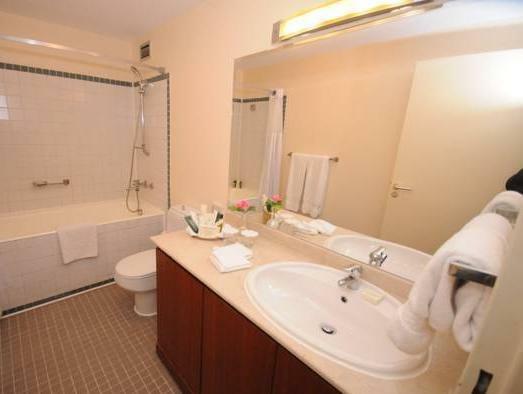 The suite is commodious and ideal for a family of five adults. nice big appartment suitable for big families. 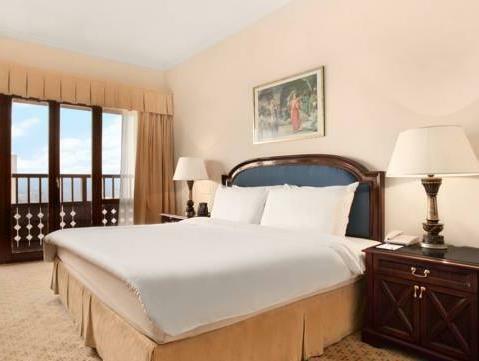 thae hotel is situated on nile rever has big apprtment suitable for big families. recieption & restaurant personnel are very pleasant & friendly. There is some rehabilitation work under going.some facilities are closed or under maintenance.the city view of the hotel entrance needs some improvement.very quiet hotel &excellent as resort.very clean inside and good housekeeping.security is good & no disturbance.If i got the chance to visit cairo i will not hesitate to book in this hotel.however the price is little bit high.